In 2013, the Rana Plaza Factory, which made clothing for various popular brands, collapsed in Bangladesh, killing more than 1,000 garment workers. The incident opened her eyes to her own closet, realizing that she was guilty of shopping at stores that used sweatshops like the Rana Plaza Factory. Sexton decided that she could paint a positive picture of what people could do, in place of shopping at large retailers. She had always loved fashion, so she turned her idea into a blog. Ethical brands would send her merchandise and Sexton would write about the quality of the pieces and how to style them. The blog became the precursor to her now business. In October of 2015, Sexton opened The Flourish Market, which began as a fashion truck. “We wanted to test the hypothesis that women wanted to shop with purpose by buying from our friends from all over the developing world,” said Sexton. 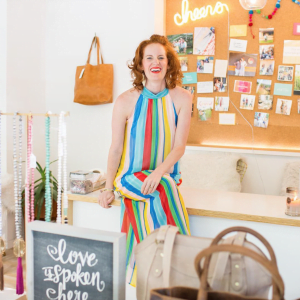 She filled the truck with clothing, jewelry, shoes, and bags all with a bigger purpose, and after a few months, she realized that she could launch a brick and mortar store. 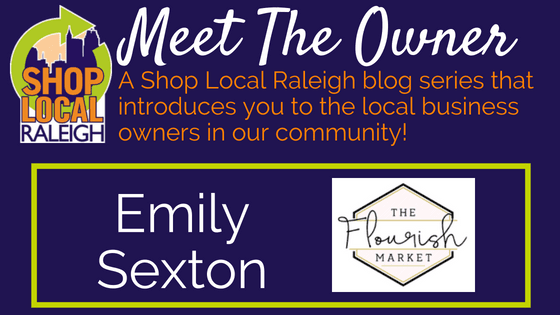 In November of 2016, Sexton opened up The Flourish Market at 713 Tucker Street, in downtown Raleigh. The name The Flourish Market came from Sexton’s emphasis on how she wants people to feel when shopping in her store. Flourish embodies the desire she has for the lives of her customers, as well as the women on the other end of the purchase. The Market exemplifies the international flavor that would be inside the store. 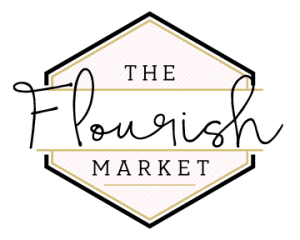 The Flourish Market reaches a variety of customers but speaks specifically to 3 different people. The first customer is in her younger 20s and is looking for statement pieces to build her wardrobe. The second customer is the largest customer base, and is a mom of littles who “does not have time to care for herself because she is giving all she’s got to raising her children,” said Sexton. 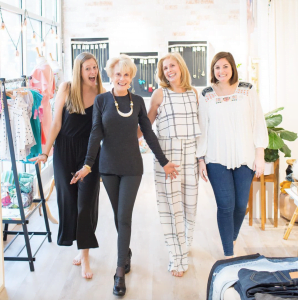 “Those are some of our favorite customers because we help her feel confident as a mom.” The third customer is someone who loves the mission of The Flourish Market and wants to tell all her friends how they, too, can shop for the causes they care about. 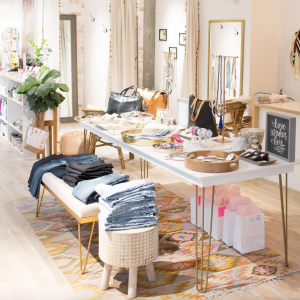 During the summer months, The Flourish Market hosts in-store parties where customers invite friends to shop with meaning while sipping complimentary Raspberry Mimosas. 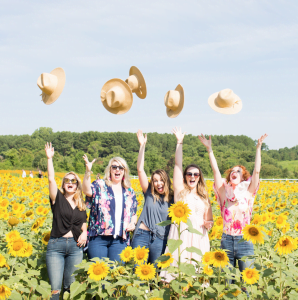 The summer months are the slowest months for retail, so by hosting a party at The Flourish Market, you fund additional orders to be sent to the artisans and makers of the clothing and jewelry that have their creations in the store during their slow season. This summer The Flourish Market is hosting over 50 parties! 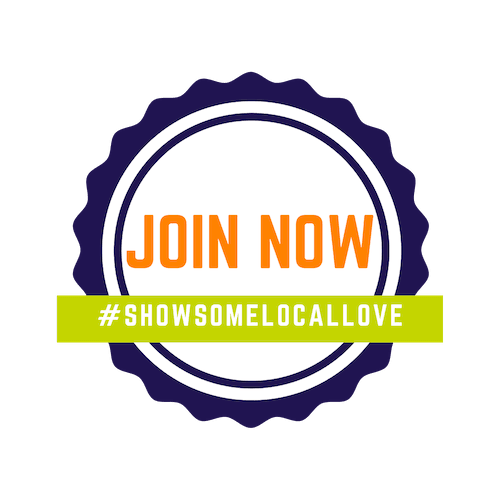 Want to get in on the do-good fun? You can book your free party here. To describe The Flourish Market as a song, Sexton said, “I’ll be there for you by Jess Glynn.” She says that it is peppy on the surface which describes the employees, store, and Instagram, but the lyrics dig deeper and embody the mission of the store. Stop by The Flourish Market to check out their unique pieces!